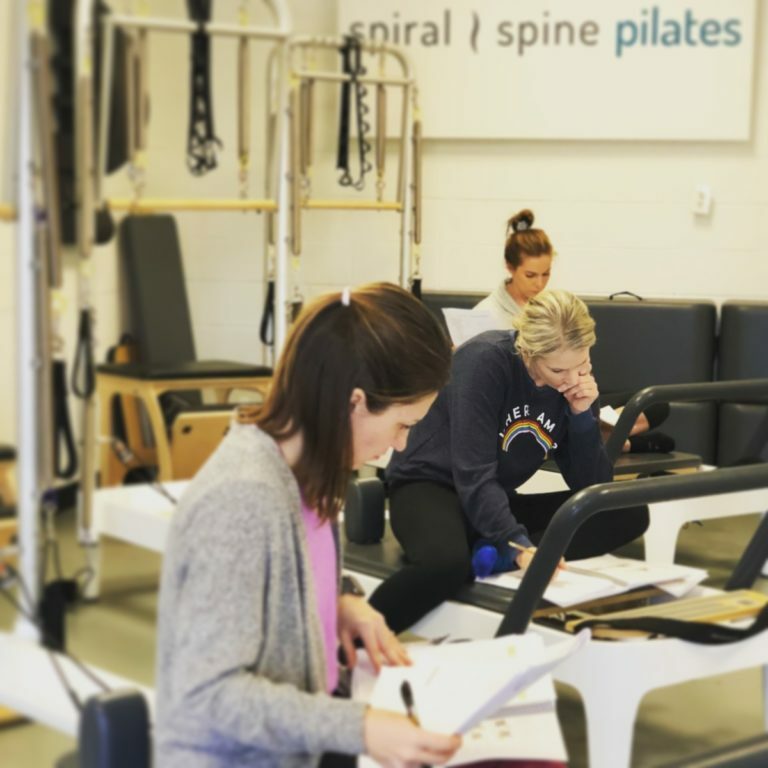 This blog is part of the Analyzing Scoliosis series, which is designed to teach movement practitioners how to work confidently with clients who have scoliosis. In previous posts I discussed the typical scoliotic body, common types of scoli (AIS and functional scoliosis), when to work with a client, handling a misdiagnosed client, the importance of movement, the role of the instructor, and assembling your dream team. 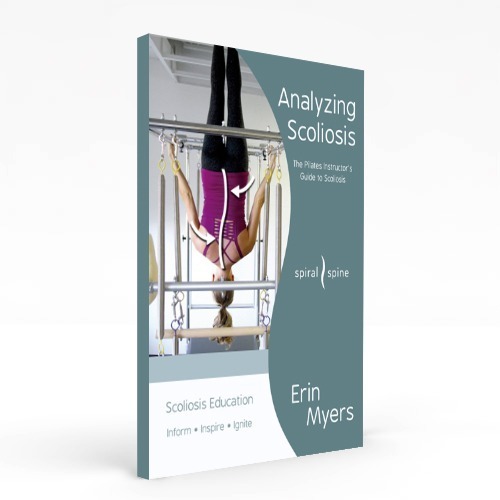 My book, Analyzing Scoliosis, which covers the topics in this series (as well as others) in more depth, is available on Amazon. As a Pilates instructor, you already know how to analyze a client’s body. You know how to spot misalignments at a moment’s notice and correct those misalignments as your client moves. But what about a spiral spine that’s throwing nearly everything in a client’s body out of alignment? Scoli clients require a few extra layers of analysis, but trust me, that extra time will be worth it. Getting to know your scoli clients’ bodies will give you the chance to see exactly what you’re dealing with and how their curves could be affecting the rest of their alignment. This will help you manage ramifications and issues before they worsen (or before they appear). The extra analysis also gives you a chance to ask your client questions and to build trust and reassure them that you’re ready, capable, and willing to help them manage their scoli. The analysis process may initially take a while, but with practice, you will eventually be able to complete a full assessment in a few minutes. When first beginning, I suggest you walk through every single step with each scoli client and that you continue to do this until you’re comfortable completing the analysis quickly. Once you’ve practiced several times, you’ll have the confidence to think on your feet when working with your spiral spine clients. I find that the ability to visualize clients’ bones in space almost gives you super hero powers. While working out a client, you’ll need to constantly have an awareness of where their bones are in space and what they are doing. You are continually working towards getting your client’s bones into a straighter, less spiraled position. Learning to see and feel what those bones are doing through a basic physical and visual assessment of the spine and pelvis is the first and most important step in mastering this skill. Before we dive into the analysis process, you’ll need to know a few terms that are commonly associated with scoli and that I’ll reference frequently. Comprehending them will also give you a better understanding of your scoli clients’ spines. First, every curve in a scoliotic spine has two parts: a concave part of the curve, and a convex part of the curve. What do these words mean, and how do you tell which part of a scoli curve is which? Visualize a half circle opening to the left. To the left of the circle is the concave portion, and to the right is the convex portion. I have a silly way of remembering this. I visualize an actual cave. If I’m inside the cave, it’s rounded over my head. So, if I’m “inside” the round part of a curve, I’m in the concave portion. If I’m not “inside” the curve, I’m outside of it. That means I have to be in the convex part. Here is a fun image to help this concept really stick in your head. This is a still from Analyzing Scoliosis, a two-hour scoliosis training video I did with Fusion Pilates EDU. It’s a fabulous visual image of being “inside the cave” and should really help ingrain which side of the curve is the concave side. I highly recommend you watch the full video where I talk about these concept more deeply. A Cobb Angle is the precise degree of measurement of the lateral scoliotic curve, as determined by the Cobb Method. A specialist will take an X-ray of the spine and make two straight lines on the top and bottom of the curve. The angle where those lines intersect is the Cobb Angle, or the exact lateral degree of the scoliotic curve. This is how scoliosis is diagnosed and tracked by a person’s doctor. When someone comes to a lesson and says their scoli curve is at 35 degrees, they are referring to their Cobb Angle measurement. This image is an X-ray of my spine where you can see those lines drawn onto the X-ray by a specialist. I know there are a few numbers here, but look at the lower number associated with each curve. When this X-ray was taken, the Cobb Angle measurement of my top curve was 35.1 degrees and my lower curve was 13.3 degrees. If there is rotation in a scoli curve, it will usually be wherever the apex (the furthest point, laterally) of the curve is. The rotation will go toward the front of the body in the concave part of the curve. In other words, it’s as if the rib cage is rotating further into the “cave” created by the concave side. I hope you found this post a useful introduction to why analysis matters. I look forward to teaching you how to complete a spinal and pelvic assessment next! Hi Erin, I am a 61 year old woman with a 35ish degree curve A friend who is getting her Pilates certification excitedly told me about you and spiral spine. I ordered your book and actually cried as I read the first chapter because no one has ever cared about this issue. The orthopedist gave me evercises as a teenager (since my curve wasn’t discovered until I had an X-ray for college and by then it was too late to treat) and I’ve followed up with chiropractor s, massages and exercising. I have done life fully but privately dealt with pain and confusion as to the why and what’s of my body. I’ve been so active (a runner, avid exerciser, horsewomen along with a degree in piano which has always caused lots of pain for the hours I have sat on the piano bench in college and accompanying at church). All that to say I am motivated to deal with this but I DONT HAVE ANY IDEA HOW! Can you help me? I would even make trips to Nashville for an assessment and plan of action if you would “have mercy” on me. With 10 grandchildren I deeply desire to stay active and as limber as possible. There are just many things my body simply will not do. My very experienced massage therapist says she has never seen anything like my back and is amazed I don’t live in constant pain. Can you help me or recommend someone who is trained in spiral spine? I line in Jackson, MS. Than you so much for listening to my looong dissertation I’m just so excited to find you. Reading your comment here made me smile. Yes, I can help you and I’d love to help you. If you go to the Shop page of this website https://spiralspine.com/spiral-spine-online-store/ you’ll find lots of resources–everything from books, to apps, to free downloads for your Pilates Instructor, to videos for both your Pilates Instructor and you at home. I need you to find a great Pilates Instructor in your area. The resources I have should educate them on how to work with you. I have many people around the world also either come to me for a few lessons or do “virtual lessons” with me via the computer. Feel free to give my studio a call at 615-891-7118 and my staff would be more than happy to help you take a deep breath and gracefully walk through this journey with you. I’m really proud of you for being proactive with your scoli.